When Manic Vandal enters the battlefield, destroy target artifact. Ooo, i think flickering could be good. Twinflame seems good with feather. Felidar Guardian & Restoration Angel combo with Impact Tremors . Manic Vandal , Flametongue Kavu , Molten Primordial , & Mirrorwing Dragon might be useful. Hello! I love to see how you are updating the list and our versions are kind becoming more different. I start to feel like i have my own deck instead of just a copy and it's quite great :D i'm also glad to have been able to help you improve your list! 2) I also like Rolling Earthquake despite it not hitting walkers cause it's the most efficient X damage boardwipe that there is, and i love the fact that hits players. It's a fireball, can end the game on the spot, or can help take out problematic opponents. The alternative i was considering for an effect like that was Comet Storm, but for now i'm sticking with the earthquake until further testing. 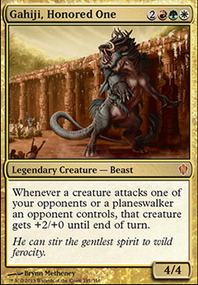 3) I'm very curious to hear how Tilonalli's Summoner goes for you. To me that card has always looked like a win-more thing or a bad Tempt with Vengeance, but i'm willing to be proven wrong. 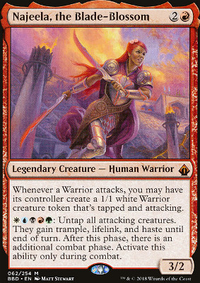 Pia Nalaar looks good to me cause it's very consistent value (i always loved her activated abilities) and the fact that thopters seems to be grenzo's best friends. 4) Meekstone feels great in this deck, thanks for putting that into my radar ^^ i also did the exact same thing with Manic Vandal, exchanging it for Goblin Cratermaker. I'm still a bit on defense about Legion Warboss. I like from the rabblemaster that he can pull out a shitton of damage on its own. I'm gonna be playing warboss in standard so i'm waiting to get some general experience with the card before i put it in. Furthermore Experimental Frenzy looks really good and something i wanna test after i get some games with Stolen Strategy. I feel it's mostly an enabler for strategies that want to be super proactive at some point, and i'm not sure it fits ours as we wanna be very controlling and oportunistic at times. I'm also not sure we have as much ways to do things with the cards that get stuck in our hand. The fact however that you can just destroy it when it stops being good is what makes it worth the shot, so i'll be testing it at some point, probably after i get the chance to see it playing a bit in standard too. 5) I forgot to mention last time, but i was also considering taking off Insurrection for Molten Primordial. The cealing of the primordial is lower, as he steals less stuff, but i like that he offers more consistent value and gives you a big body you can keep, which make it better than insurrection against spell-based decks. Now that i have more time i'll work on putting my version on tappedout with a bunch of anotations for these specific cards that are different from your take on the deck, and i will link your version so people can see the basic explanation of the concept, general card choices and your videos. We will have a nice place going on for people wanting to make a strong Grenzo list, which is exciting! You definitely need more card draw Elemental Bond, Mouth / Feed, Skullclamp, Deathreap Ritual and Culling Dais would be my card engines of choice. With eight of them in the deck you should be able to have one most of the time. 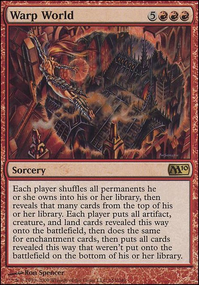 Fervent Charge is a card I love but I never get to find a good deck to include, this could be that one. super nice specially with your Aggravated Assault. I would remove Titanic Ultimatum in favor of Beastmaster Ascension. 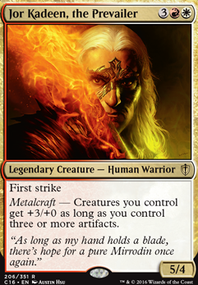 The ultimatum is really espectacular and the lifelink is amazing, but the static +5/+5 for just three mana is insane. Some protection against board wipes to chose among Heroic Intervention, Boros Charm, Make a Stand, Ready / Willing, Eerie Interlude. Utility on warriors: Banewhip Punisher, Den Protector, Hidden Dragonslayer Elvish Skysweeper, Viridian Zealot, Manic Vandal, Qasali Slingers, Hammerheim Deadeye. Why Manic Vandal over Tuktuk Scrapper? I see it is 1 CMC less, but if you ran 4x Goblin Warchief like most legacy decks you could easily drop for 1-3 mana in most games, or just Vial it in. Plus, it won't go to the bottom of your deck with a ringleader drop pull. Krenko, Mob Boss is a 1x staple for most decks now. You don't see many decks in this format running Warren Instigator since it an RR and there are much rougher choices for a 2 drop for goblins I think like Mogg War Marshal, or obviously Goblin Piledriver. I think Grenzo, Dungeon Warden is a bit slow, but Grenzo, Havoc Raiser as a 1x will start popping up in legacy decklists soon. I agree with the above comment that Goblin Grenade is not good in legacy. I do however, think a 1x Legion Loyalist is worth it to give your other goblins great buffs as a 1 drop, especially piledrivers. Boggart Mob can get pretty out of control and lets you retrigger matrons and ringleaders with a sac mechanism like Goblin Sledder or as most decks run, 1x Skirk Prospector. This isn't a popular choice, but worth considering. I run it in my RB goblin deck, but thats for casual. The champion effect of Lightning Crafter has the same retrigger potential. Frogtosser Banneret could help you reduce costs of some of your goblins just like a Goblin Warchief, but you have neither. I think these are important for tribal goblins (most run warchief over frogtosser for the haste/monored). 1-2x Ancient Tomb seems to have dropped off most top8 decklists, but I like running 2 in mine. I run Food Chain Goblins and dirty kitty though, so my mechanic is different (and more vulnerable, but faster) than vial gobs. Kiki-Jiki, Mirror Breaker is nuts. Consider Terminate or Gempalm Incinerator or Tragic Slip even for removal. 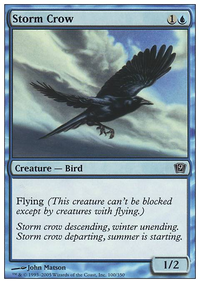 As for the sideboard, many people like running Krosan Grip if they splash with green. Also consider Thoughtseize. 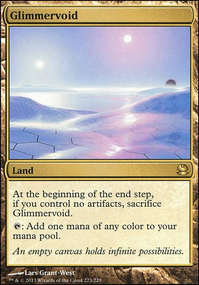 I also think that Blood Moon like stated above is great for MONORED in the sideboard if you choose to drop black. I think a 1x Goblin King is nice in the sideboard as well. Red Elemental Blast might help in the side as well. I think a reclamation sage or even a Manic Vandal type dino would be very on flavor. We already have Deathgorge Scavenger doing great things against graveyards so I don't know that wed see the angel ability. But thanks to that card its on flavor for sure. Flavorwise I don't think Mindclaw fits at all. Love the card but it just can't see a dinosaur involved in spell casting. In my head Dinosaurs are beasts. They aren't magic really in any way so most of the things they can and will do will be built around combat and buffs etc. I would love to see them go after the minor lifegain theme they have going bringing in something like Ravenous Baloth type effect. They also need a strong way to close out games. Gishath is great but I still think an etb Overrun esque effect would be awesome to have on a dino like Pathbreaker Ibex. Really just more faux Lords that grant abilities and such like Bellowing Tanglewurm. 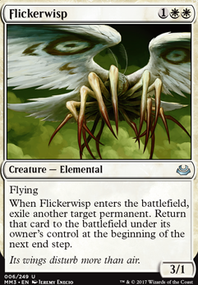 My favorite green card has always been Eternal Witness and while i don't think it makes a ton of sense I would love that type of effect on a dino, even if it cost more for a bigger body like Greenwarden of Murasa. Also a large flier that can hold its own against the usual suspects in commander like Steel Hellkite would be a great addition. I like Urborg, but unless youre needing a lot of black mana or benefit from swamps for some reason (swampwalk and Cabal Coffers come to mind) then the budget could be better spent elsewhere. Having your tainted lands function as duals is a nice upside though. As far as dealing with those artifact and enchantments, the best solution Grixis has for them is bounce. I like stuff like Dinrova Horror. 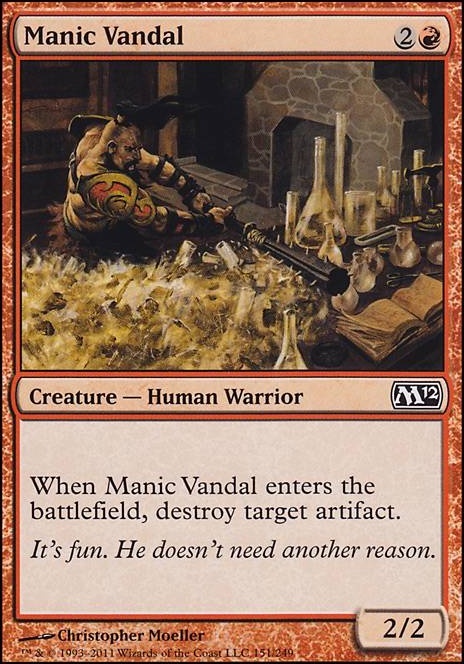 There are lots of red Manic Vandal effects that you could use to Smash artifacts, or you could just Clone their etb effect guys that blow up enchantments, but thats not super reliable, even if thats a common enough strategy lol.